It’s been a while since I’ve shared one of our Signature Cocktail Recipes but I’m excited to tell you that this feature is back! Each month we will be tempting your tastebuds with a delicious drink that would be a wonderful addition to any of your wedding events. One thing to keep in mind when deciding on a cocktail is how it will be served? By a bartender? Will your guests build it themselves? Or maybe it will be in a large drink dispenser on ice? 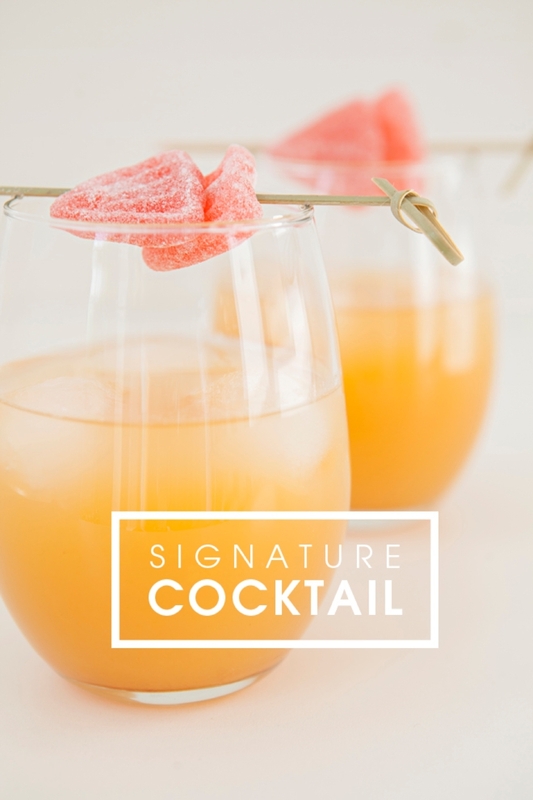 Although I do love an artfully crafted cocktail that takes time and a professional to create, I try to keep the recipes that I share here simple enough that you can easily scale them for a small or large event. 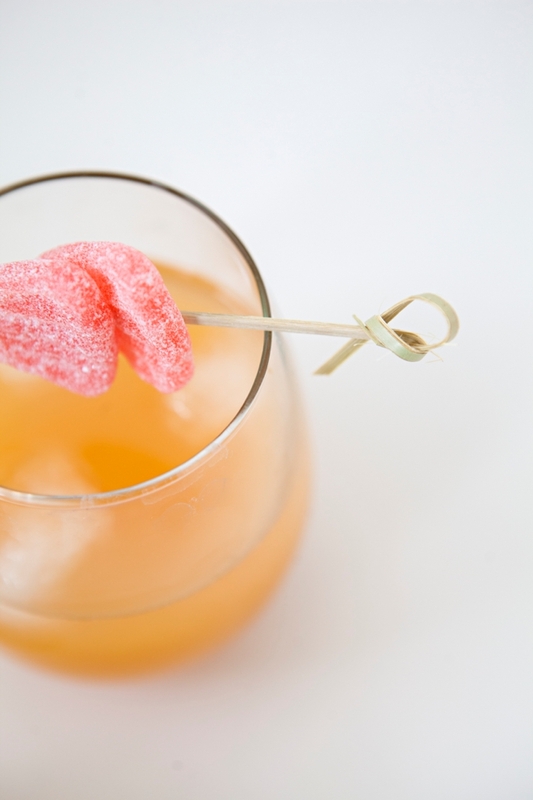 Today’s Candied Grapefruit Cocktail is tart with a sweet twist. 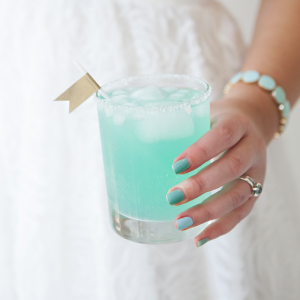 It’s light, refreshing to drink and pretty to look at while it goes down easy. I’m really into pink grapefruit; the fruit itself, the juice and especially the many different types of tart candies. If you aren’t a grapefruit fan you won’t be a fan of this drink. The peach Nectar really just cuts the bitterness of the juice and add a richness to the combination, but definitely doesn’t cut the grapefruit flavor. It would pair wonderfully with your spring or summer event, but watch out because your guests will want to keep filling their glasses with this one! When deciding on a signature drink to serve at your special event there are 4 things to consider; 1. The theme 2. The location 3. Your personal favorite drink, and 4. The color scheme of your event. One of those 4 topics should give you a starting point of inspiration as to what beverage would fit your unique gathering the best. For example, if you are hosting a rustic barn event a cocktail with whiskey as the mixer might be appropriate. If you are having a destination wedding on the beach a tropical island drink would be a great fit. Or let’s say you only ever drink vodka + soda, then vodka + soda it should be. 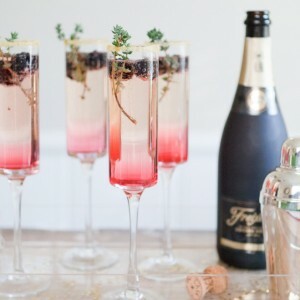 If your event is romantic in theme with shades of whites and beiges and with pops of pinks, you might consider looking for a cocktail recipe that is pink to match! Start with cues from your event design itself, blend with your own personal taste and strain a few of our unique recipes into the mix and see what shakes out! 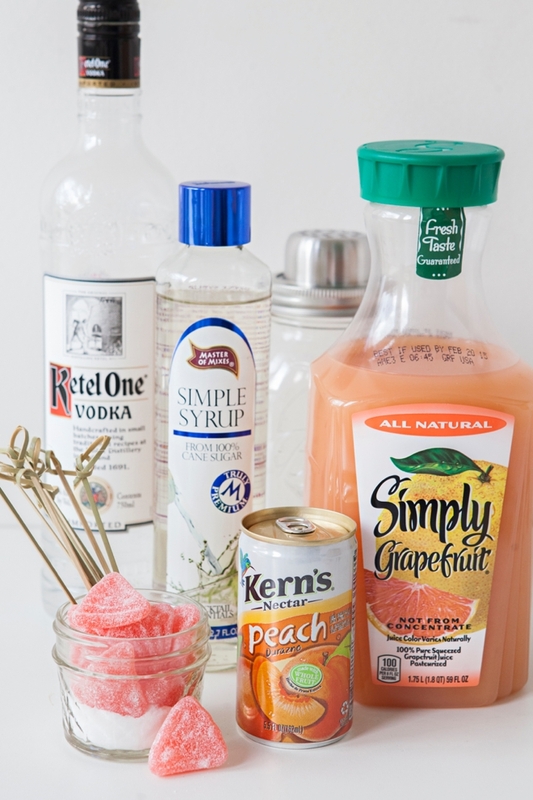 Combine all the ingredients in a cocktail shaker with ice, shake and strain into your choice of glass. Add ice or don’t, totally up to you. This recipe can easily be made into a large pitcher or drink dispenser to have out on display at your bridal shower or similar event. 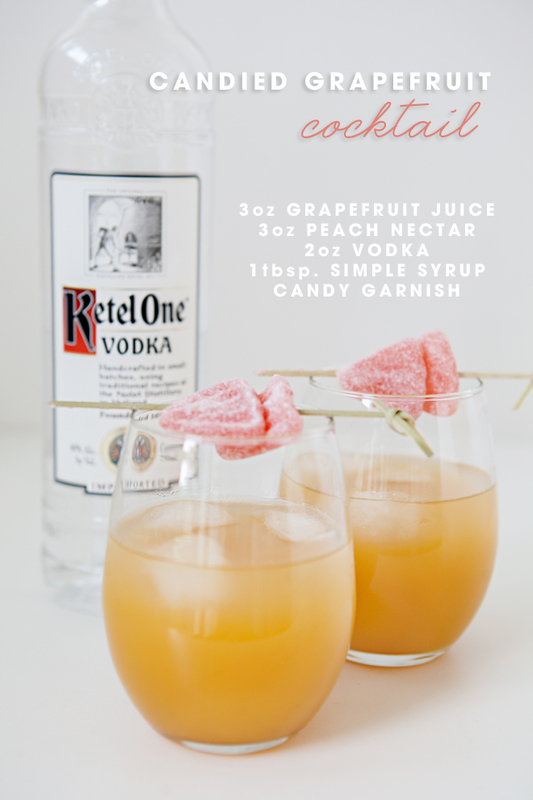 The garnish is always the fun part and no candied grapefruit cocktail would be complete without the candy! 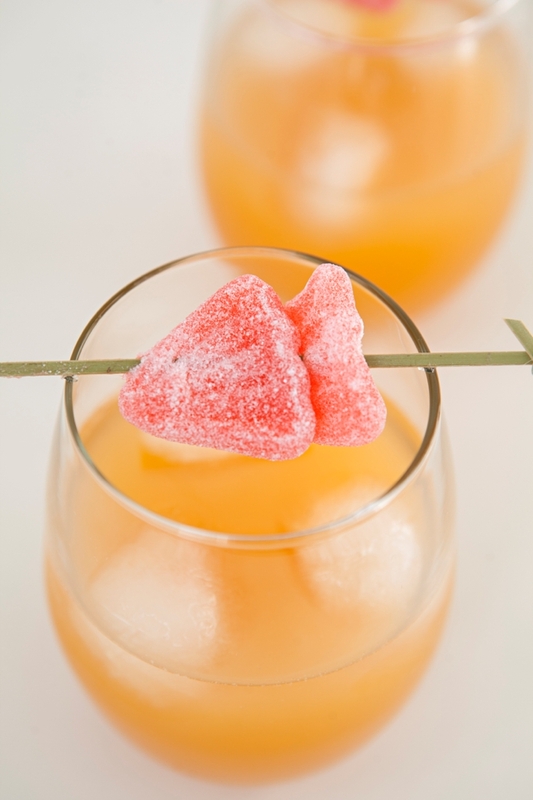 Here I took two grapefruit candies and threaded them onto a bamboo cocktail pick. 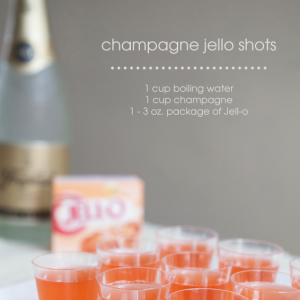 That way your guests will have a little something sweet to go with their tart drink!